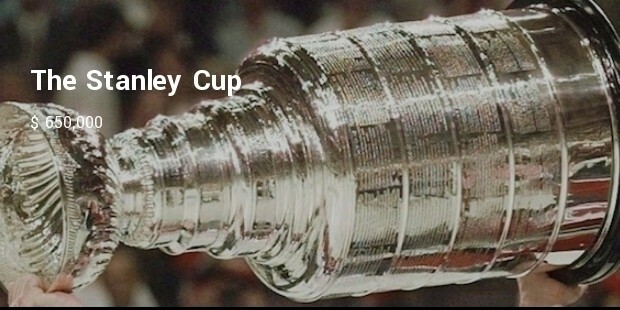 Winning a championship and coveting the trophy is one of the best ways to feel ecstatic about one’s achievements. Sports and related activities always cater to the overall development of the individual and also brings forth a sprit of acceptance of defeat and victory on the same platform. 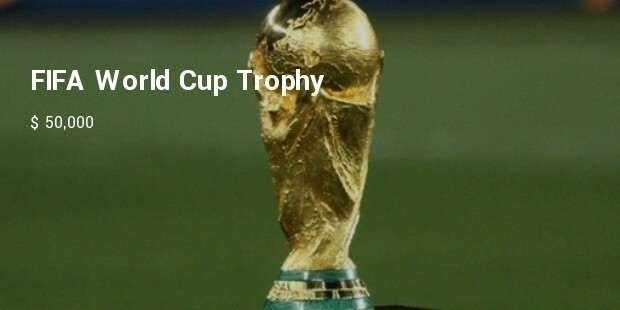 Trophies only signify achievement however it is interesting to know about some of the world’s most expensive sports trophies which determine the success of a team studded with a lot of expense too. Let us have a look at these star studded trophies of the world. This magnificent cup with tiered rings and narrow bands inscribed on it weighs around 34 pounds. At around three feet tall it weighs 34 pounds. 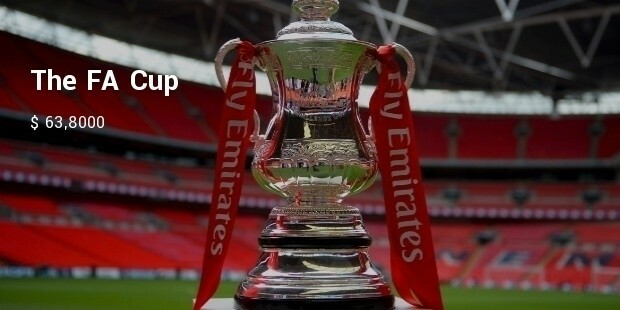 The cup also has an inclusive cost for accommodation and transportation. Named after Lombardi, this silver two feet tall trophy is shaped like a football. 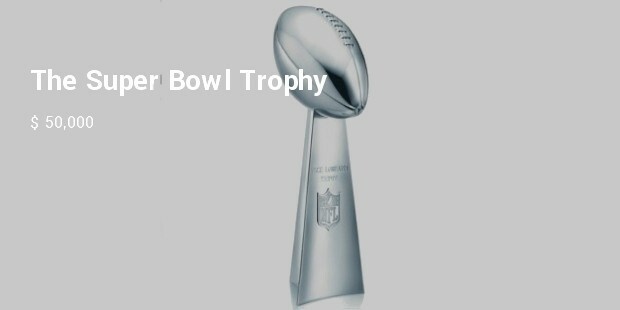 It has “Vince Lombardi Trophy” inscribed on it and the NFL shield engraved on the base. 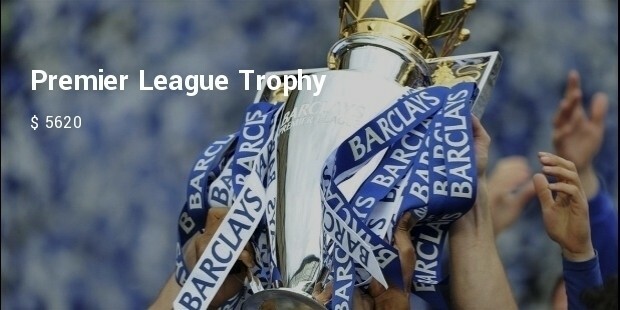 Comes out as a standing example of the world’s most expensive sports trophies. This trophy has been tweaked a little and is in silver and at two feet tall it weighs around 30 pounds. With 30 gold plated flags it really is worth a win. 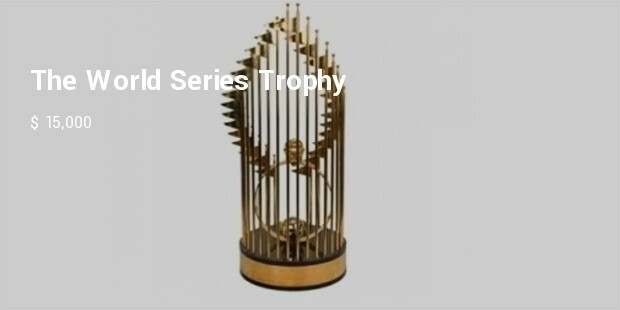 There is also a silver baseball with 24 karat vermeil stitches. 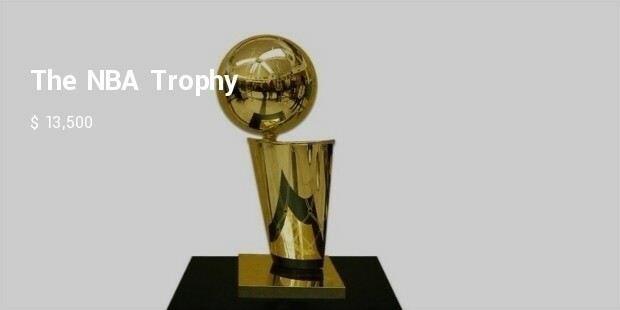 This is the biggest basketball prize and has been named after Larry O’Brien. The 14.5pounds silver has a 24 karat gold overlay. With a nine inch basketball shown around a hoop it is one of the most expensive sports trophies. 5. 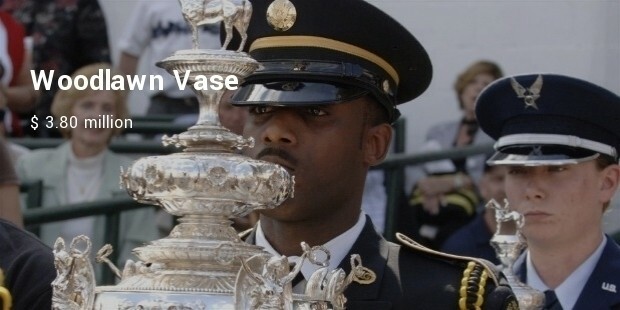 Woodlawn Vase at more than $ 3.80 million. 6. 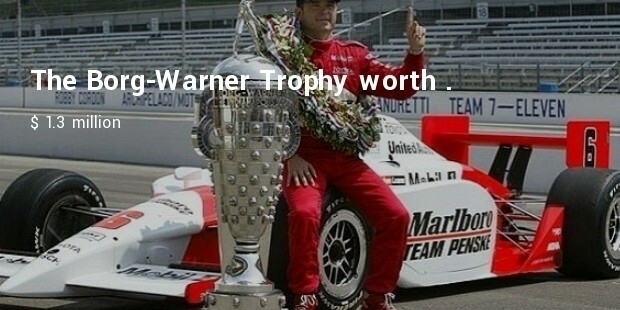 The Borg-Warner Trophy worth $ 1.3 million. The emotional contribution and the commitment with which the trophy is made makes it euphoric. Winning is all about playing the game right and thus these most expensive sports trophies in the world come across as a thing to reckon.